1. No matter how good you think your TV is now, it can always get better. This year television manufacturers showed off new Ultra High Def (UHD) televisions that have 4K resolution, or about four times the resolution of today’s high definition screens. These big and beautiful TV’s show virtually no pixelation when displaying UHD content (though upscaling non-UHD content may be less compelling). Also present were new curved televisions that enable viewers to have a more balanced viewing experience (each inch of the screen is equidistant from the viewer), and an impressive dual-view 3D TV by Samsung that enables two people to watch different high definition 3D broadcasts in full screen at the same time from the same television. 2. It’s more fun to use human interfaces and have physical interaction. While TV’s, phones, computers and cameras steal the headlines at CES, smaller companies tucked away in the corners innovating in ways you can’t imagine are much more fun. And many of these companies are helping us to interact with the world a bit more by building physical interaction into technology. One particular cool gadget is Sphero, a hackable robot ball that you can control via your iPhone, around a physical track. Sphero can also trigger augmented reality experiences, and be used itself to control computer programs through physical manipulation. Also peek at Sifteo cubes, small computer cubes that pass information between each other, enabling all sorts of interactive puzzles and games. 3. Health technology and the quantified self are at a tipping point. All sorts of companies are making health-tracking devices, from health start-up fitbit, to Nike Fuel to Jawbone Up, that track anything from how many steps we’ve taken to how well we’re sleeping. But wearable bracelets won’t be the only way we measure, share and analyze our health data. Withings has a connected scale that measures your weight, BMI, heart rate and even the air quality around you. As more companies enter the health tracking fray product innovation will collide (Withings has a wearable monitor now, and Fit Bit has a connected scale). The bigger question will be how well these companies can guide our real life health improvements based on all of the data we’re collecting. 4. Every device will be connected soon (so plan for bigger data plans). Just about everyone seemed to enjoy playing with Samsung’s new Galaxy Camera, an internet connected digital camera with an Android operating system built in. Now you can install your favorite mobile apps like Instagram right to your camera to filter and share photos as soon as you take them. Samsung also showed off a connected refrigerator that includes popular applications like Evernote, so people can collect recipes from anywhere and browse or view them directly on the screen in their kitchen. With the internet of things growing so quickly, ubiquitous connectivity and shared internet plans will need to improve along with it. 5. Kickstarter is one of the most exciting names in consumer technology. One of the most anticipated announcements at CES was from Pebble, the ambitious smart watch that was funded on Kickstarter. The Pebble raised a record-setting $10 million dollars to build their product back in April, but didn’t announce their shipping date until CES. If Pebble lives up to its promise once in the hands of consumers, the next CES might be much more focused on the independent technology innovators that are arising in part to innovative funding models like Kickstarter, rather than the big behemoth technology companies that lead the market today. In fact, many of those big market leading companies seem to be pulling out of CES all together. 6. The big four internet companies are confusingly second fiddle at CES. Google, Apple, Amazon and Facebook, known as the big four internet companies, have become successful through their merging of content, services and technology in a user-friendly way. Each, to different degrees, are defining what it means to be a connected product today, from user experience to content to ecosystem compatibility. And while CES is full of other companies making devices for those platforms, the names defining the space need to stand up and illustrate their vision for the future. There may have been hundreds of devices from different companies on the CES floor that included Android, but Google needs to lead the discussion of how all these devices will work together with Android at its core. 7. 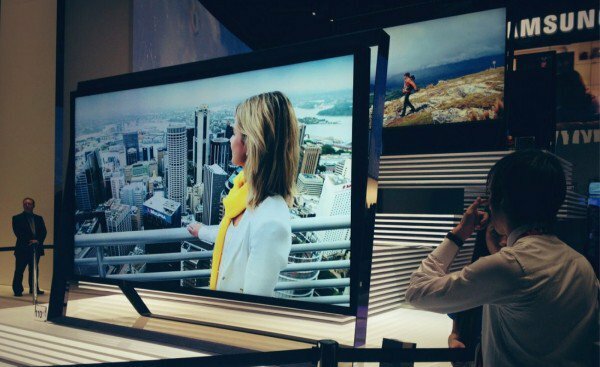 The days of CES as a trade show are over; welcome to consumer marketing central. The biggest story going into the week was actually how few product announcements would be taking place, with many technologies likes cameras and phones now saving their biggest own popular trade shows later int he year and big names like Microsoft having left altogether. But a reported 150,000 people from every walk of life attended the convention this year, the largest audience in CES history. More significant may have been the tens of thousands of brands, sales and marketing companies who spent the week in Las Vegas talking about the implications of the consumer electronics revolution and its implications on media and marketing, without ever stepping on the conference floor. CES may be changing, but for new reasons its just as interesting and important none-the-less.